Winter is just around the corner, so it’s a good time to start prepping your broiler houses for colder weather. Fuel costs associated with winter flocks are substantial, so anything that can be done to make the process more energy efficient is well worth the effort. When it comes to reducing heating costs, it’s usually a combination of the “little things” rather than a single solution. Several of the recommendations discussed here only require a little elbow grease and a basic understanding of some of the principles behind house winterization and heating system operation. This is not an exhaustive list of what can be done to winterize a house, but it’s certainly a good place to start. During cold weather, radiant heaters are a grower’s most vital piece of equipment, yet they receive little attention until there is a problem. Staying on top of any potential problems with radiant heaters is important because maintaining suitable brooding temperatures ensures that a flock gets off to a good start. Brooding temperatures that are too high or too low will decrease overall bird performance and comfort. Here’s a checklist of things that can be done to ensure that you are getting the most from your radiant heaters. Visual inspection. Perform a visual inspection of all heaters during brooding to make sure that all hoses are secure and fittings are tight. Watch the heaters as they cycle on and off to make sure they are working correctly. Also, double-check that the temperature sensors are working and are at the correct height. Clean heater canopies and burners. This is usually not on top of the “to-do” list, but it makes a difference and is easier with more frequent cleanings. It’s much easier to use a backpack blower and remove a thin layer of dust from a single flock than removing heavily caked-on dust. In addition, the performance of dirty round radiant brooders can be decreased by as much as 30 percent when compared to new heaters. Check inlet supply and heater manifold gas pressure. This is something that can be done once a year by a certified gas technician before the first winter flock. Start with the heaters that are farthest from the gas regulator. If the inlet supply pressure is within the recommended range for these heaters, there’s probably no need to test the rest. If it’s not within the recommended range, there is a gas-pressure or pipe-size problem that needs to be addressed. Checking manifold pressure at the heater ensures that your heaters are burning at the correct pressure. Data shows that decreasing manifold pressure by 1 inch of water column from the rated pressure can decrease radiant energy reaching the floor by approximately 14 percent for round radiant brooders (Linhoss et al., 2017). If you notice that a heater just doesn’t seem to be putting out as much heat as the rest, it’s probably a pressure-related problem. Check heater elevation. This does not apply to radiant tube heaters since they are not raised or lowered during any stage of production, but it is important with round radiant brooders. All round radiant brooders have recommended elevation ranges, and the safest bet is to stay within these ranges. Brooders that are too low will create “hot spots” (areas that are too warm for the birds). Brooders placed too high will not provide enough heat and may result in chilled birds and excessive fuel consumption. While newly constructed poultry houses are more airtight than older ones, unwanted air leaks are still a problem, and they will affect your ability to control house air temperature and prevent chilling birds. Under ideal conditions, the only air entering a house during minimum ventilation would be through the air inlets. In reality, air infiltrates most houses through a number of places other than the air inlets. Air leaks can decrease the velocity of air coming through the air inlets during minimum ventilation and reduce air mixing. In addition, cold air that seeps into a house has to be offset to maintain a comfortable environment for the birds, and this results in increased energy and fuel expenditures. A curtain-sided house that cannot achieve a minimum of 0.13–0.15 inch of water column (inch WC) or a solid-sidewall house that cannot achieve 0.20–0.22 inch WC during a static pressure test will use excessive amounts of heat during winter conditions (Tabler, 2012). A smoke test is a good way to find air leaks in your house. Place the house under 0.10 inch WC of static pressure and smoke the exterior. Wherever smoke enters the house is where there is a leak. Below are some common places to check for air leaks. Operating a poultry house with substandard insulation leads to reduced live performance, increased energy use, and reduced profitability no matter what season it is. Insulation keeps warm air in the house during winter and reduces the amount of fuel needed to heat the brood chamber. Insulation performance is specified in terms of thermal resistance, or R-value. The higher the R-value, the more effective the material is at resisting the flow of heat. Most newly constructed houses in the southeast have a minimum of R-19 in the ceiling and R-11 in the sidewalls. However, decreases in R-values over time through shifting and settling of blown cellulose insulation can be a major problem. Rodent activity, wind, gravity, ceiling slope angle, and constantly vibrating ceiling materials can reduce the installed R-value of attic insulation by 40–80 percent. Blown cellulose is filled to the top of the bottom chord of the truss in this new house. In the aging house, the blown cellulose has settled several inches below the top of the bottom chord. Although insulation R-value is subject to change over time, an ounce of prevention is worth a pound of cure. Here’s a checklist to make sure your insulation stays up to par. Visually inspect attic insulation levels. One of the easiest ways to identify and prevent insulation problems is by yearly visual inspections, especially in the attic area. The majority of the heat lost through the thermal envelope of a poultry house is through the attic area. Make it a priority to do a visual inspection of your attic insulation every year, especially if you have blown cellulose. The standard thickness for blown cellulose attic applications is 6 inches, which should provide a thermal resistance of around R-19. If you notice substantial settling or bare spots in your attic, add insulation as needed. Hiring a contractor to re-apply blown insulation to a minimum of R-19 (6 inches) will save you money in the long run and yield a quick payback in extreme cases. Look for condensation. If you’re seeing condensation during cold weather, whether at the walls or the ceiling, then you have air infiltration, thinning insulation, or both. Ignoring condensation problems can lead to higher fuel consumption and structural damage. Increase initial insulation depths in new houses. Increasing the minimum depth of blown cellulose attic insulation from 6 inches (R-19) to 8 inches (R-25) allows for some settling over time and prevents or prolongs having to upgrade insulation later down the road. Blown-over-batt. The ceiling peak area of a dropped-ceiling house often sees shifting and settling of blown cellulose insulation. Another consideration for new construction to prevent this occurrence is to use a “blown-over-batt” application. This method uses a layer of fiberglass batt insulation that overlaps the ceiling peak by approximately 2 feet on both sides over the length of the house. Blown cellulose insulation is then blown on top of the fiberglass batt. This application prevents shifting and settling at the ceiling peak and maintains the integrity of the insulation over time. Consider fiberglass batt or blown stabilized fiberglass. Fiberglass batts and blown stabilized fiberglass applications are not prone to shifting and settling. However, there are considerable differences in price when compared to blown cellulose. The increased cost of 6-inch fiberglass batt versus a 6-inch blown cellulose application is about $4,000 for a 40-by-500-foot dropped ceiling house (Campbell et al., 2010). Blown cellulose is initially cheaper, but producers operating houses with fiberglass attic insulation don’t have to worry about shifting and settling issues. Stir fans have been shown to reduce fuel costs by as much as 25 percent in older houses and nearly 10 percent in newer houses. Warm air in a house rises and stays close to the ceiling, while the cooler, denser air remains close the floor. This process is called stratification, and temperatures near the ceiling can be 5–10 degrees warmer than at the floor. Stir fans mix the air and gently push the warm air back down to the floor where it is needed by the birds. Axial fans point toward the end walls and should be tilted slightly upward to ensure that all the warm air is pushed off of the ceiling. Paddle fans are effective in houses with baffles, but they should have forward and reverse settings. The air flow from a paddle fan should be directed upward toward the ceiling and not downward where it can chill the chicks. Fans can be operated continuously or alternated with the opening and closing of inlet vents. How stir fans are operated is up to the grower and must be determined on a house-by-house basis. Ammonia concentrations above 25 parts per million can injure eye and respiratory tissues as well as reduce overall performance. When used at the right times and in correct amounts, litter amendments do a good job of reducing ammonia production, especially during the first 10–14 days of production. After this, the amendment has usually been depleted, but the benefits reaped from its use can be substantial. Ventilation rates can be lowered since moisture removal, and not ammonia reduction, is the primary objective. The value of the reduced ventilation rate depends on internal and external house conditions, but it can range from $400 to $600 during cold-weather brooding (Campbell et al., 2008). It takes a lot of fuel to heat a broiler house during cold weather. Some growers burn close to 50 percent of their annual fuel during two cold weather flocks. Yearly inspections of heaters, insulation, and air infiltration are necessary. They can help prevent or delay future problems and save money, and they are an all-around good management practice. Campbell, J., Donald, J., & G. Simpson. (2010). Is shifting ceiling insulation running up your gas bill? The Poultry Engineering, Economics, & Management Newsletter, No. 63. Auburn, AL: National Poultry Technology Center, Auburn University. Campbell, J., Donald, J., Simpson, G., & K. Macklin. (2008). Get ready for winter! The five-step program. The Poultry Engineering, Economics, & Management Newsletter, No. 55. Auburn, AL: National Poultry Technology Center, Auburn University. Linhoss, J.E., Purswell, J.L., & G.D. Chesser. (2017). Varying manifold gas pressure and its effects on radiant brooder performance. Publication 3084.  Mississippi State, MS. Mississippi State University Extension Service. 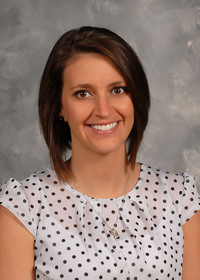 Tabler, T. (2012). Broiler house ventilation during cold weather. Publication 2749. Mississippi State, MS. Mississippi State University Extension Service. By John Linhoss, PhD, Extension Associate, Agricultural and Biological Engineering, and Daniel Chesser, PhD, Research Associate, Agricultural and Biological Engineering.